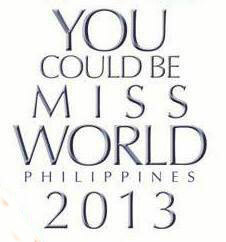 Miss World Philippines will soon unveil the officials candidates for 2013. GMA Network and Miss World Philippines will present the official 26 candidates a few days from now. Miss World Philippines pageant will show the beauty and intelligent of each of them. According to report, this year Miss World Philippines has a celebrity candidates such as Rich Asuncion, Megan Young, Diva Montelaba and Patricia Lae Ejercitado. Miss World Philippines 2013 beauty pageant will be held at the Solaire Resorts and Casino in August 18 and will be aired on GMA7. Comments or suggestions about "Miss World Philippines Official Candidates for 2013 | Miss World Philippines 2013" is important to us, you may share it by using the comment box below.